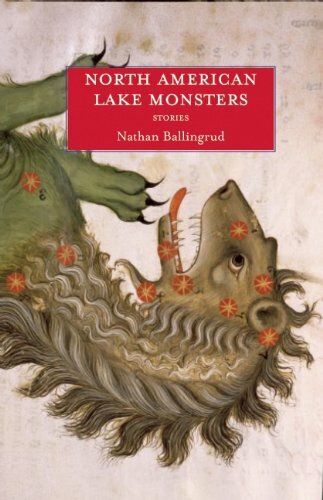 I came across Nathan Balingrud’s North American Lake Monsters on a Bookriot list titled “5 Books That Are Legit Nightmare Fuel,” by Rachel Weber. Conveniently, I had been in desperate need of some “nightmare fuel,” so to Amazon I went. I don’t know that I would label these stories as scary in a traditional sense, but they are bothersome and thought-provoking, and some are downright troubling. I loved it. The common thread throughout most of these stories is the juxtaposition of real-life horors with supernatural ones. Which is more terrifying is often unclear. For instance, “The Monsters of Heaven” features a couple coping with the kidnapping of their young son. All the while, glowing, alien-like creatures dubbed “angels” begin appearing across the county, but each one is broken or injured in some way. “North American Lake Monsters” tells readers of Gary, a man who just finished serving a six-year jail sentence, and tries to reconnect with his wife and adolescent daughter amidst the discovery of a massive dead sea creature that has washed ashore. Balingrud consistently indicates that these supernatural elements are not nearly as terrifying as what life itself can have in store. I absolutely loved this collection of stories. Every single one. That’s why this post is so short; I have nothing to rant on and on about for paragraphs on end. Go read this now, but leave the light on when you do. Sounds so interesting… I’ll love to read the story,could you please leave a link to where one can get the book. Thanks.